World Football Commentaries: Fabio Cannavaro: "I'd pick Juve but Inter is the future." Fabio Cannavaro: "I'd pick Juve but Inter is the future." During a February training camp held in Italy, Fabio Cannavaro, manager of Tianjin Quanjian F.C. in the Chinese Super League, discussed several topics with Maurizio Nicita of La Gazzetta dello Sport. 1. On Nikola Kalinic of Fiorentina. 2. On other transfer market moves. 3. On what Europeans don't understand about China. 4. On the Chinese owners of Internazionale Milano. 5. On if Juventus is unbeatable in Serie A. 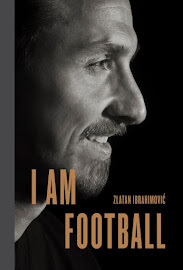 "From his Tianjin club, with a clear objective of Kalinic, to other top Serie A players, Fabio Cannavaro, captain of the 2006 World Cup winning Azzurri and current manager of the Chinese club that tore away Axel Witsel from Juventus and courted Nikola Kalinic almost to the point of winning him over, speaks of everything with our Maurizio Nicita in an interview that you can read in today's edition of La Gazzetta dello Sport. Here are a few 'spoilers':"
Chinese football is making many strides on the international football market with key signings. Let's take a look at a few excerpts from Mister Cannavaro's discussion with Maurizio Nicita of La Gazzetta dello Sport. "He's my first choice for the 4-3-3 formation that I have in mind. But something didn't work out because right at the time everything seemed sorted out, a few mediators changed their attitudes and pretenses." Cannavaro training players such as Pato and Witsel near Bologna in February. "We can still acquire another foreign player. The transfer market is open for the entire month of February in China. We shall see." 3. On what Europeans don't understand about China? "Quite a lot. Starting with the dimensions of their power. My club's President, Shu Yu Hui, manages a multinational natural medicine company called Quanjian. Everyday, he sends 5 million salespersons on visits around the world. The boss of Evergrande has targeted, and will quickly be, in the top 10 clubs of the world. The project of my Tianjin is even more ambitious." 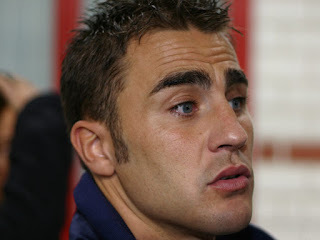 Cannavaro's first managerial appointment in China was with Guangzhou Evergrande. "Juventus is still stronger than Inter. They have won for so many years now. But the Suning Group is serious and understood the importance of an Italian soul in the team. They reacted quite well during the January (2017) transfer market... They are putting into place the foundation for an ambitious future." 5. On if Juventus is unbeatable in Serie A? "In Italy, I believe so. For European competitions, it will be different. I hope so but something is missing in the middle. In the last few years, Juventus has lost very important players such as Andrea Pirlo, Arturo Vidal and Paul Pogba, respectively. These are players who are very difficult to replace. In effect, Axel Witsel would have been a glove fit for them. With Sami Khedira, he would have formed a perfect tandem to give cover but also to finish off plays." Italian source: La Gazzetta dello Sport; Cannavaro: "Dico Juve, ma l'Inter è il futuro. Kalinic? È la mia prima scelta..."; Maurizio Nicita; 3 feb. 2017.